Grima, M. Tabone, S.A. Martinez Villa, D. Krstic, C. Bugeja, R. Buttigieg, G. Hili, S.P. Bajada, M. Stojanovic, M. Xerri, D. Bogdanovic. Xuereb, J. Tabone, L. Silva Lopes, K. Mercieca, A. Xuereb, N. Damba (I. Belhadj 72’), D. Mercieca, A. Camilleri, K. Grima, A. oularbi, L.A. De Melo Lima. 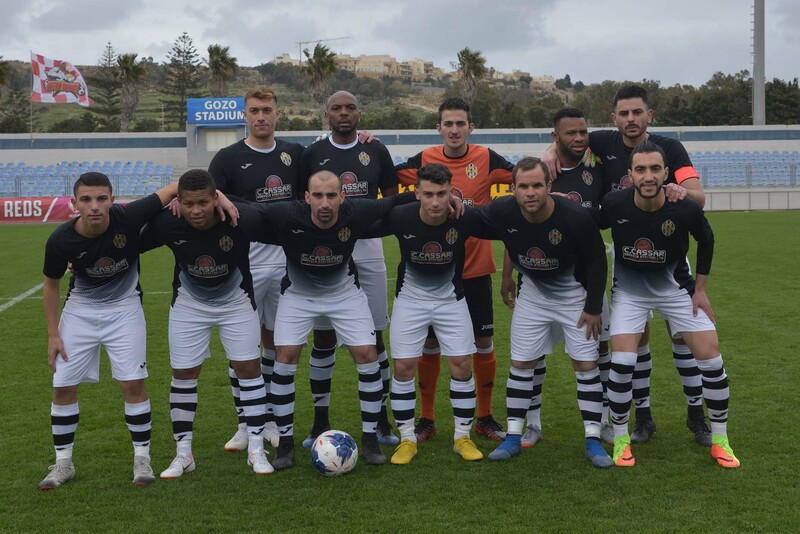 Challengers for the title Xewkija Tigers dropped two precious points from their match against Ghajnsielem so that they are again five points away from the leaders and reigning champions Victoria Hotspurs. Xewkija tried hard to make up for the defeat conceded in their match against the Blacks of the first round of the championship and were aiming to obtain a win to remain very close to the top of the table. 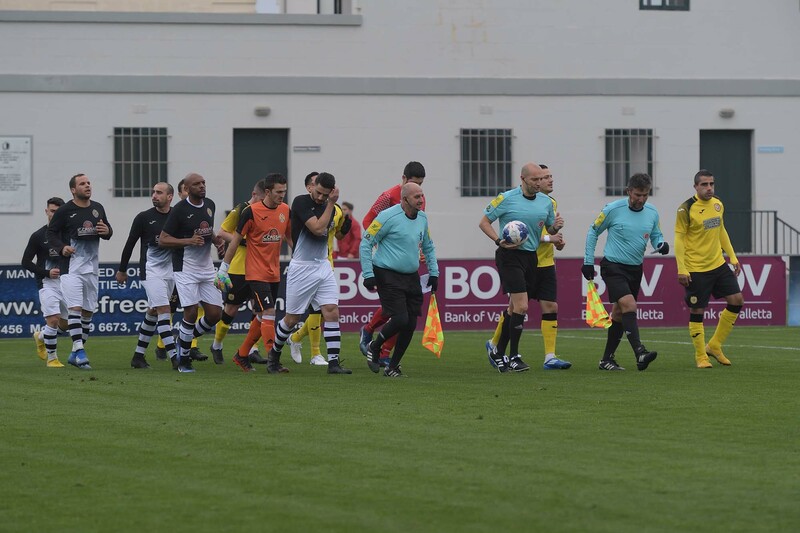 The Tigers held command of play for long stretches but failed to convert their superiority into goal scoring opportunities and at the same time they suffered from Ghajnsielem’s sporadic breaks within Xewkija’s territory so that the outcome of the encounter remained uncertain until the final whistle. With the point obtained Ghajnsielem moved four points clear from the relegation zone. During the opening stages of the match play was rather balanced as Xewkija struggled to take command of play while the Blacks seemed determined to make up for the previous disappointing performances. The first attempt at goal arrived on 7 minutes through a shot by Ghajnsielem’s Naby Damba that ended wide and Xewkija replied two minutes later when Xewkija’s defence failed to clear a cross from the right flank by Rodney Buttigieg but Daniel Bogdanovic missed the opportunity to conclude towards goal. 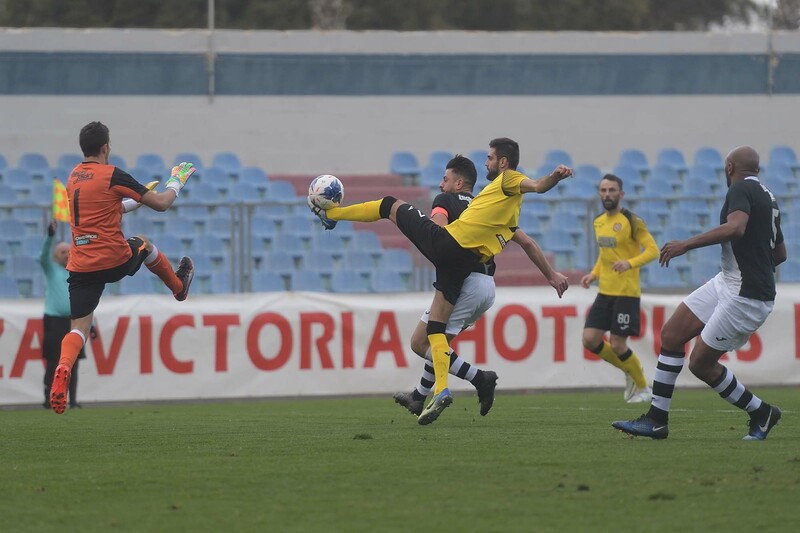 On 11 minutes Xewkija’s keeper Lorjean Xuereb made a good intervention to save to a corner a low shot by Gennaro Hili and two minutes later Xewkija’s goalie Mark Grima managed to block a clos eranged attempt form an angled position by Ghajnsielem’s Kurt Grima. The match gained momentum and the two sides continued to create some potential scoring opportunities. On 15 minutes a free kick by Xewkija’s Shaun Bajada ended over the crossbar and on 19 minutes Xewkija could have opened the score but a header from close distance by Rodney Buttigieg following a cross by Milos Stojanovic ended high. Five minutes later Ghajnsielem, replied with a good header by Luis Andre De Melo Lima following a corner kick by Alberto Xuereb that was neutralised by Xewkija’s keeper and on 28 minutes the same striker had a shot that was saved with more difficulty by Xewkija’s goalkeeper Mark Grima. The same keepr was called to make another important intervention on 39 minutes to block a shot by Antoine Camilleri who was released inside the area by Luis Andre De Melo Lima and one minute later Xewkija once again missed an open scoring opportunity when Daniel Bogdanovic entered Ghajnsielem’s territory form the right flank but from his inviting low cross Rodney Buttigieg and Darko Krstic both missed the connection for the tap-in. Ghajnsielem replied on 44 minutes through a free kick by Luis Andre De Melo Lima that ended high and the first half ended in a goalless draw. After the break Xewkija came out more adventurous in their play. On 49 minutes a free kick by Shaun Bajada ended just over Ghajnsielem’s goal and two minutes later Ghajnsielem’s central defender Leandro Silva Lopes, who was making his debut in Gozitan football, hit badly in an attempt to clear away a low cross by Daniel Bogdanovic but goalie Lorjean Xuereb was well placed and saved the danger. On 55 minutes a first timer by Xewkija’s Daniel Bogdanovic form an angled position following a cross by Gennaro Hili hit the side of the net. One minute later Ghajnsielem operated a good break and from a cross by Alberto Xuereb, Luis Andre De Melo Lima had his first timer blocked by Xewkija’s keeper Mark Grima. The defence cleared badly and from the resultant action the ball arrived to an unmarked Luis Andre De Melo Lima who concluded in goal despite the waiving by the assistant referee for an offside position. The referee initially seemed to allow the goal but the decision was revoked following protests by Xewkija’s players and consultation with the assistant referee. 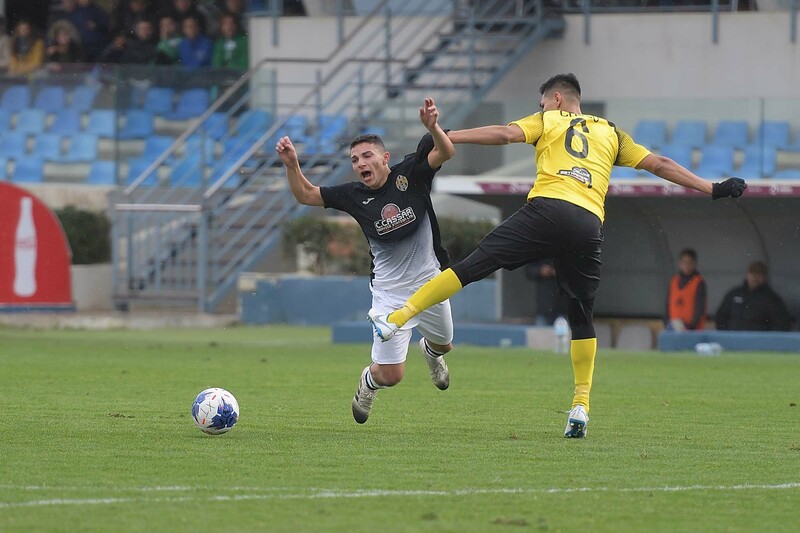 Xewkija had a reaction following this incident and opened the score on 67 minutes through a low shot by Rodney Buttigieg following a crss by Daniel Bogdanovic. 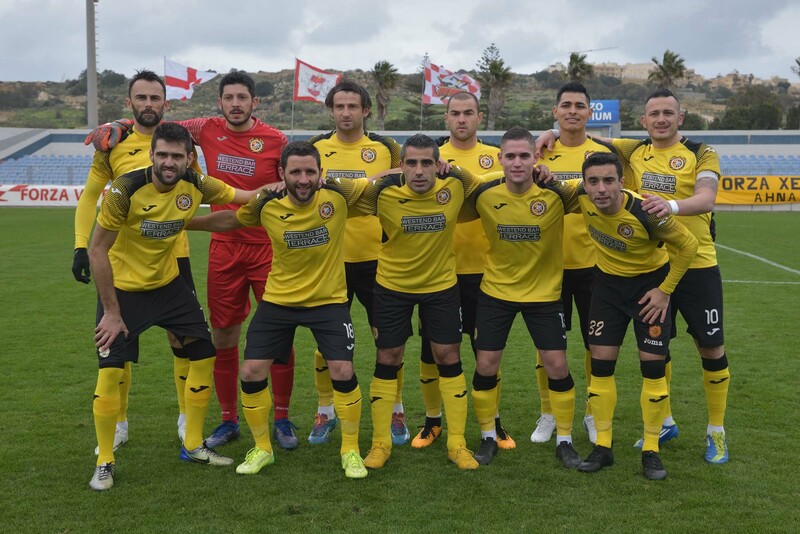 Ghajnsielem were not demoralised and started to put pressure on Xewkija’s defence in an attempt to recover the deficit. On 68 minutes a shot by Ali Oularbi was saved by goalie Mark Grima and the same goalkeeper was again well placed to neutralise another attempt by Oularbi on 75 minutes. Five minutes later Xewkija’s Milos Stojanovic headed badly inside his area a free kick by Ali Oularbi so that the ball arrived to Luis Andre De Melo Lima who had a close ranged header well saved by keeper Mark Grima. 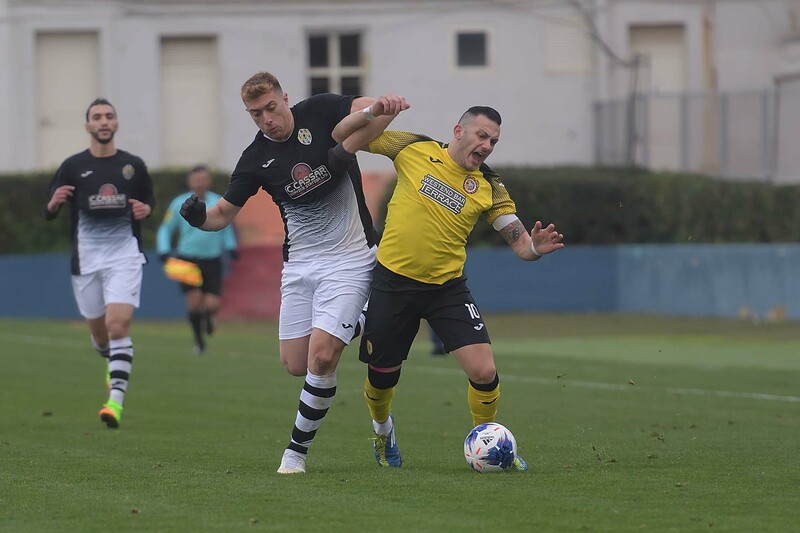 Ghajnsielem once again threatened Xewkija’s defence on 81 minutes but a fre kick by Alberto Xuereb ended wide while Xewkija could have made sure of the win by scoring a second goal on 89 minutes but a shot by Shaun Bajada from a good position ended wide. On 90 minutes Ghajnsielem’s Ali Oularbi had another attempt form outside the area that ended high but in the first minute of stoppage time the Blacks levelled the score through a header by Luis Andre De Melo Lima following a free kick by Alberto Xuereb.